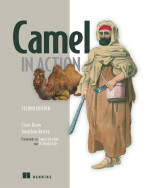 CamelOne is happening this year as well, so its the 3rd consecutive conference all about open source integration and messaging, where Apache Camel is the star of the show. The conference takes place yet again in the United States in Boston MA in june 2013. If you have topics for talks then we are calling for papers. You can submit your proposals here. If you are not familiar with CamelOne, then you can get a flavor of the conference, by viewing last years sessions here (registration required) and/or check out some photos from last year as well. The conference website is online here.